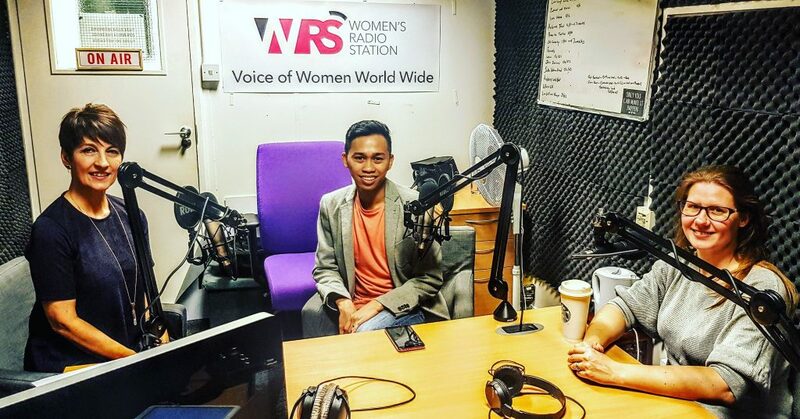 This afternoon, I joined Dr Anna Kennedy‘s weekly show ‘All Things Autism’ at Women’s Radio Station. Today’s episode centred on starting an autism blog and we’re lucky to also have on the show autism blogger Ann Hickman, who also contributes for HuffPost UK. Just like Anna, I find these comments unsettling. We’d think that as a society, we had already moved on from all these stereotypes on autism. Apparently, more needs to be done. And this is where blogging about autism could be helpful – blogging is a powerful platform in creating conversations. Having a fellow blogger on the table makes the topic even more meaty. But even though Ann Hickman and myself are both bloggers, we have slight differences with our blogging backgrounds. For one, Ann draws her content from her lived experience of having autistic children, while I run a user-generated blog. I also gathered from our conversation that Ann runs her blog to ultimately promote awareness about autism. I, on the other hand, run a blog because it’s my chosen career and also to promote awareness on mental health. I also shared on the show that my blogging journey started with me blogging about my opinions, and then later on as a travel (It was only in 2014 that I launched Psychreg). In contrast, Ann started as an autism blogger straight away. Yet, in spite of these mini difference Ann and I share the same passion for blogging. And this passion is what you will constantly hear from bloggers like Ann and myself. It may sound cliché and a little unrealistic on the surface, but there’s a reason for it. When you blog about something you’re passionate about, you’re more likely to put in the time and effort to make your platform shine. Throughout the show, Ann talked about her experience as an autism blogger. She runs ‘Rainbows are too beautiful‘. She hopes to raise awareness, promote understanding, discuss important issues, and most importantly offer support to those who are passionate about autism. Ann’s blog opened up opportunities for her. Right now, she is a contributor for the HuffPost and The Mighty. She has also provided guest posts for newspapers such as the Yorkshire Post and several online publications including Special Needs Jungle. Ann shares many posts as a way of increasing awareness. While Ann talked about her experience of being an autism blogger, I focused on the technical element of blogging. Aside from writing for different publications, both Ann and I have also spoken at a number of events. Ann has been a speaker at one of the events of Optimus Education; while I have been invited to speak at a number of events both here in the UK and overseas. This summer I will be one of the speakers at Mental Health Blog Awards to be held at Portsmouth on 27th July. It was an afternoon filled with learning and insights about the blogging. We thank Dr Anna Kennedy for inviting us on her show and we hope that her listeners enjoyed today’s show as much as we did. You can catch a replay of the episode online at Women’s Radio Station or via their app.